This guide is meant to be a quick reference and information section, going over all the general terminology that is used during a kitchen renovation. Pine is a very soft and lightweight wood species. Pine is generally filled with knots throughout the wood, with a light grain pattern throughout. Anything made out of oak is generally quite heavy, and extremely durable. Oak has a very heavy grain pattern, and is often known for being used in furniture pieces, due to its weight and durability. This species of wood has a naturally light (blonde) colour to it before it is finished. Maple wood also has a very light grain pattern, is a hard wood, and is prone to blotches throughout the wood. Generally associated with higher class, or more elegant pieces, cherry has a unique feel to it. A hard wood, with a varying amount of grain showing and an excellent natural colour blend of orange and blonde. This style of framing is when the door covers the entire framework, and the only section of your cabinetry that you see is the doors. 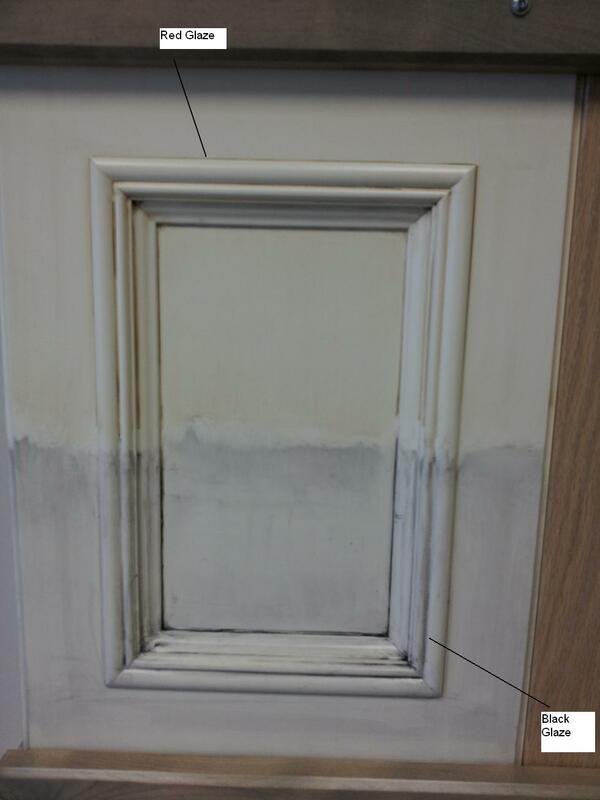 Framing in this style is the most common, and most cost effective option. Top Mount framing is where the cabinetry doors sit on top of the framework, and allows a reveal all around the cabinets. Framing in this style is much more popular in furniture pieces, and is in the mid range price point for framing options. 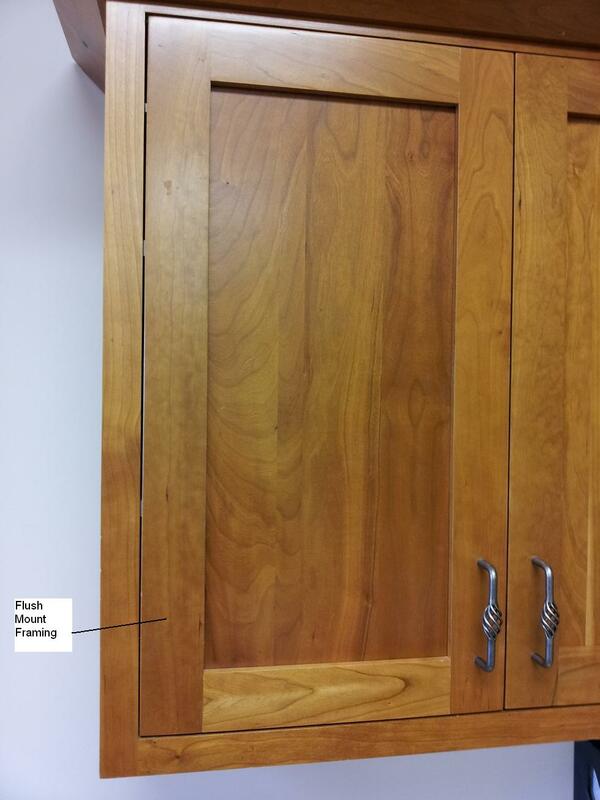 This style of framing refers to when cabinetry doors and drawer fronts are recessed with the faces of the cabinetry. This means both the doors, and cabinetry frame work are at the same depth, giving your kitchen a flush, smooth overall appearance. 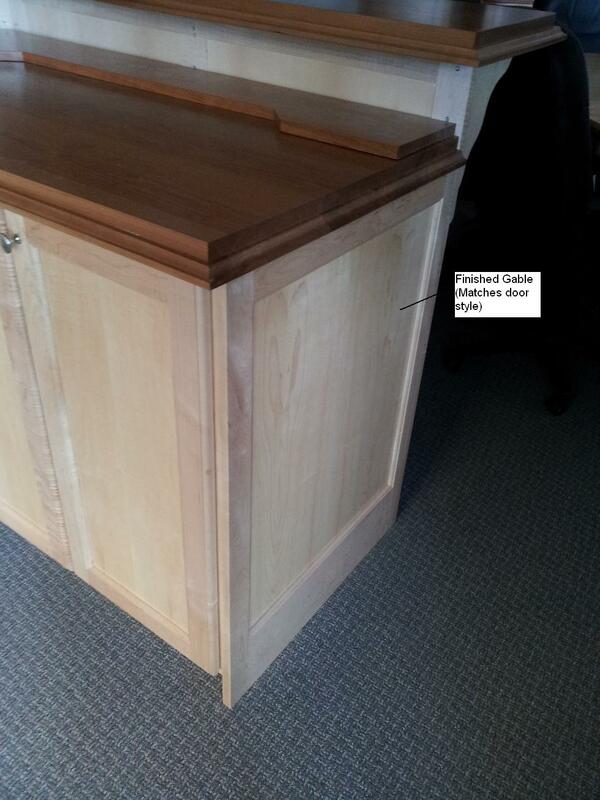 A natural finish is just putting lacquer (or clear coat) on the unit after it is built. Natural finishes will show the wood in its true natural colour, and will not alter the grain of the wood in any way. Stained finishes come in a variety of different colours, and their look varies depending on wood type. This type of finish allows you to see the grain of the wood, as well as getting the colour of your choice. 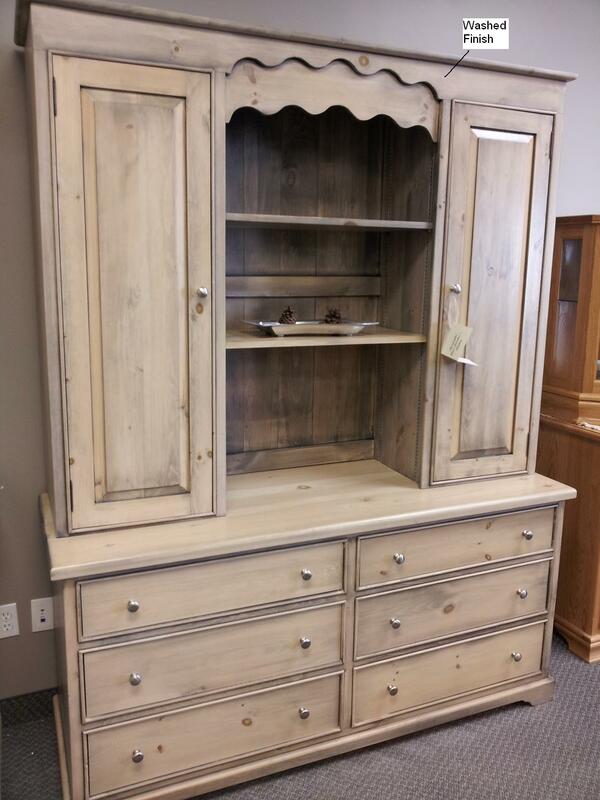 Painted cabinetry comes out as a smooth, solid colour painted finish. Paints can be done in any colour, and will match a custom paint colour as chosen by the customer. Painted finishes are sprayed on even, come out durable, and are very scratch resistant. Glazed finishes are when a glazed coating is added to the piece after other finishing (painting or staining) has been completed. Glazing can make a piece look antique, or add a different hue to the overall colour, providing a different look overall. Glazed finishes are very noticeable in areas with grooves, steps, or crevices. 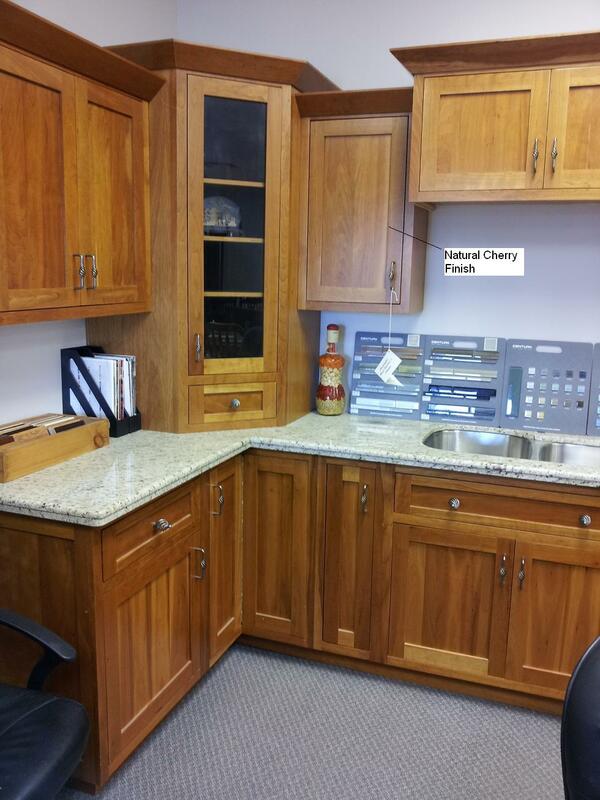 A washed finish on a cabinet refers to a very light coating over a cabinet, that is usually done in a white or a grey. These finishes show up very light, bring out a lot of grain on the wood, and are very unique and colourful. 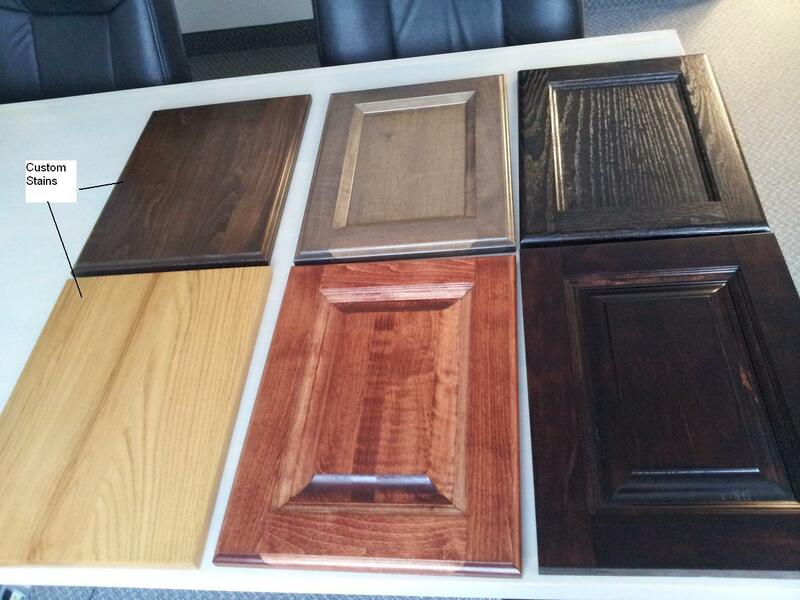 The overall style you wish to have on your cabinetry doors. Doors come in a few general styles, like slab, recessed panel, raised panel, and arched. Check out our Door Style page here for a selection of doors we offer. This refers to the profile edging that is available to choose from on the inside section of the door. This refers to the profile edging that is available to choose from on the outside section of the door. 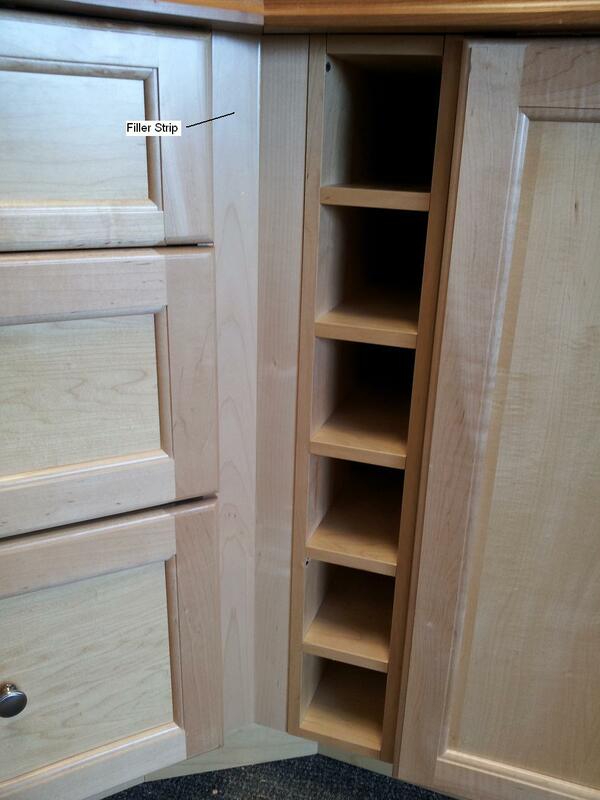 This trim work is added to the top of the upper cabinetry, to give it a more finished look and feel. Crown molding comes in many different shapes and sizes, and one can easily be found to compliment (or contrast) the door styles. Depending on the style you wish to achieve, or on certain situations, a Top Block may be used (See top block for more details). 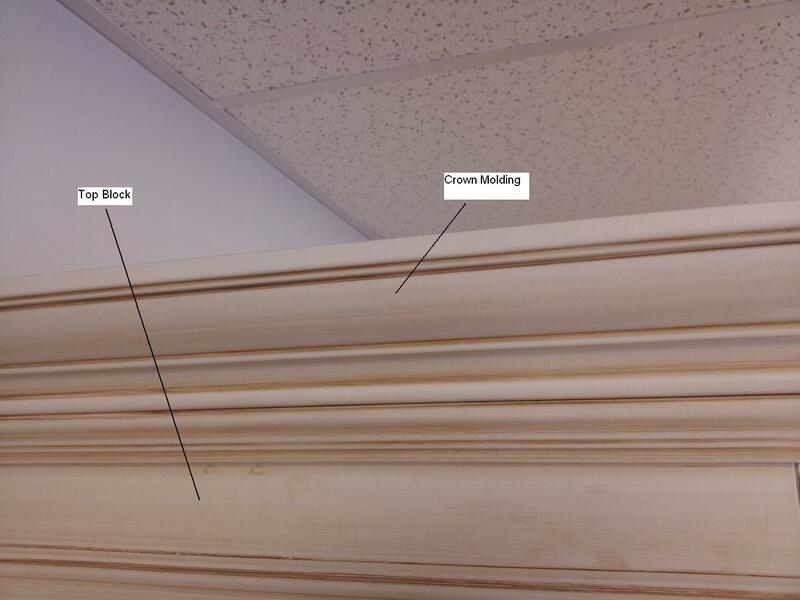 This is the section at the top of the cabinet that the crown molding is fastened on to. Top block is used generally when the crown molding is built to the ceiling, as it gives the crown molding something to fasten onto, so it will be secured properly. Top block will only be used if required or requested. This is the board that attaches to the lower section of the upper cabinetry in the kitchen. It is designed to complement the style of the door, and its function is to block your view from directly looking at the bulbs when you will be using undermount lighting throughout the kitchen. 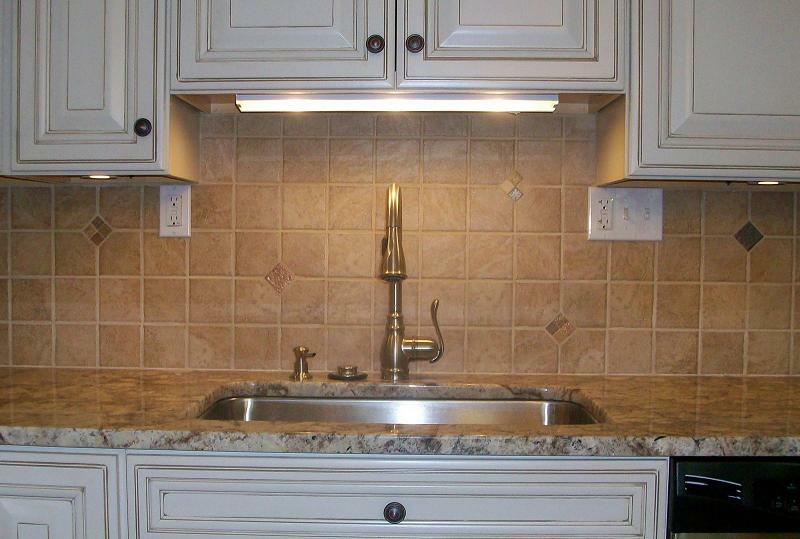 This lighting is installed on the lower section of the upper cabinetry in the kitchen. 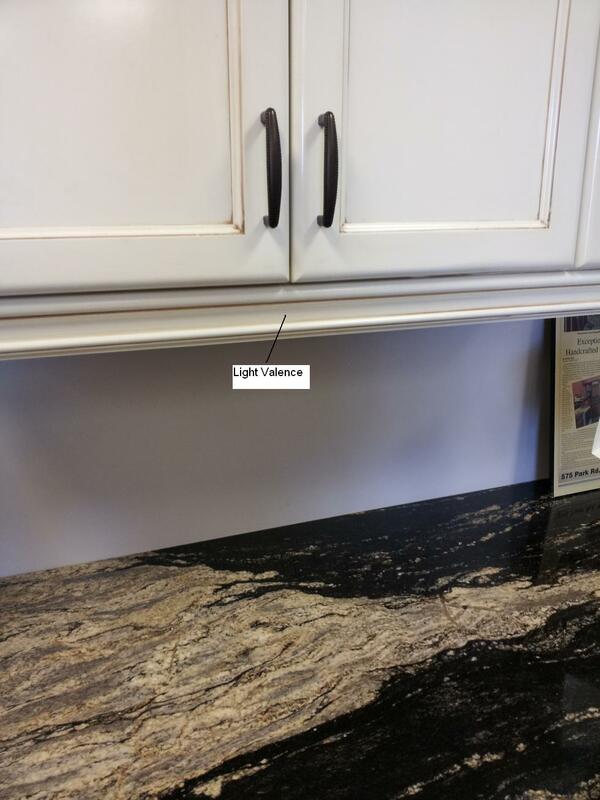 Undermount lighting is used to brighten the counter space, and should only be used in combination with Lighting Valence (See lighting valence for details). A gable is the side of a cabinet. Gables that will be exposed after installation are finished so that the exposed section matches the face of the cabinetry. As well, a gable is used to describe the board(s) that are used to build a fridge into its own section. Similar to a flat gable, a finished gable is just a gable with the door design (panel) built into the exposed sections. These finished gables can be 1, 2, or 4 panels in style. Finished gables make the exposed sections look higher end, and gives the kitchen a uniformed, completely finished look. 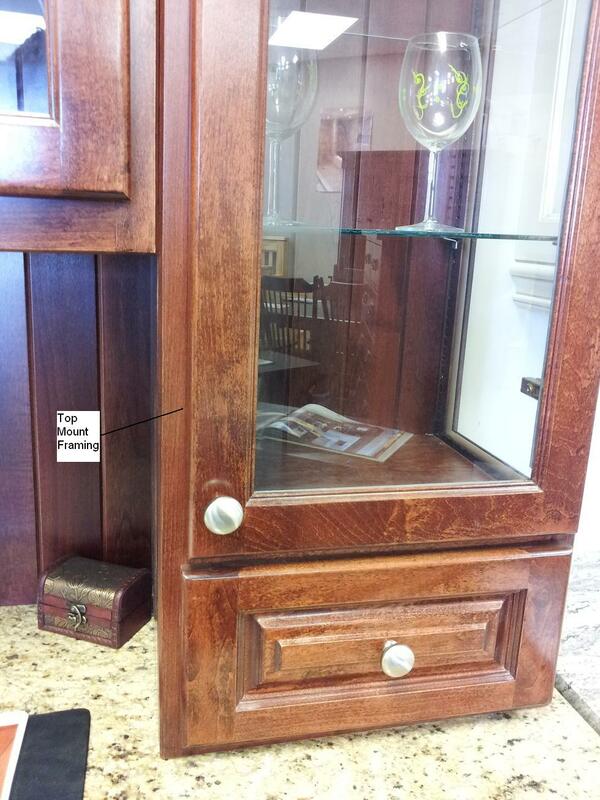 The toe plate is the recessed board that runs across the bottom of the cabinet. 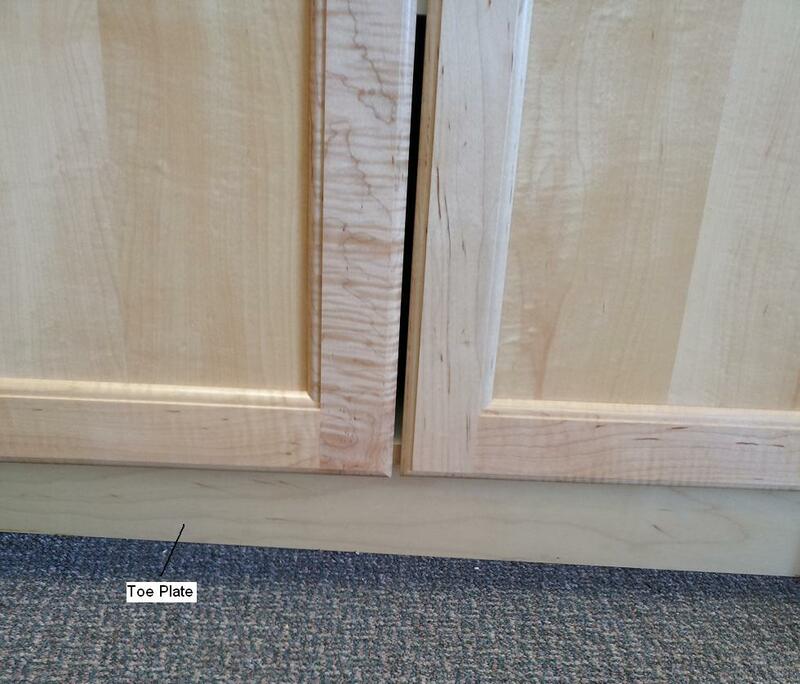 This plate is used to prevent objects from falling underneath the cabinetry, and is also used to hide the feet on the bottom of the cabinet. These strips of wood match the colour of the cabinetry, and are used if there are spaces when the finished cabinetry arrives (eg. walls are out, appliance sizes change, etc.). As well, fillers can be used as a space to provide doors to open properly, if they’re placed too close to a wall. These units are rotatable pieces that provide easy access and storage capabilities in corner cabinet units. 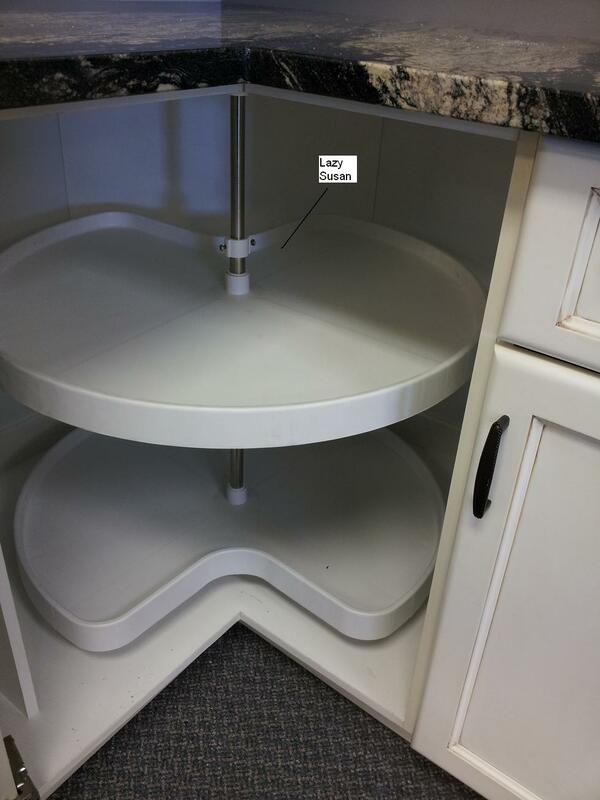 Lazy susan units are not designed to hold excessive amounts of weight, but their ease of access generally more then makes up for that downfall. 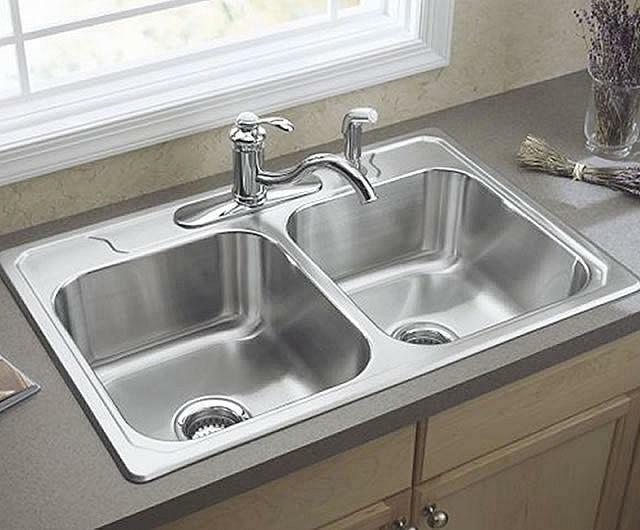 Section to rinse or clean food and dishes, sinks come in different sizes and styles. 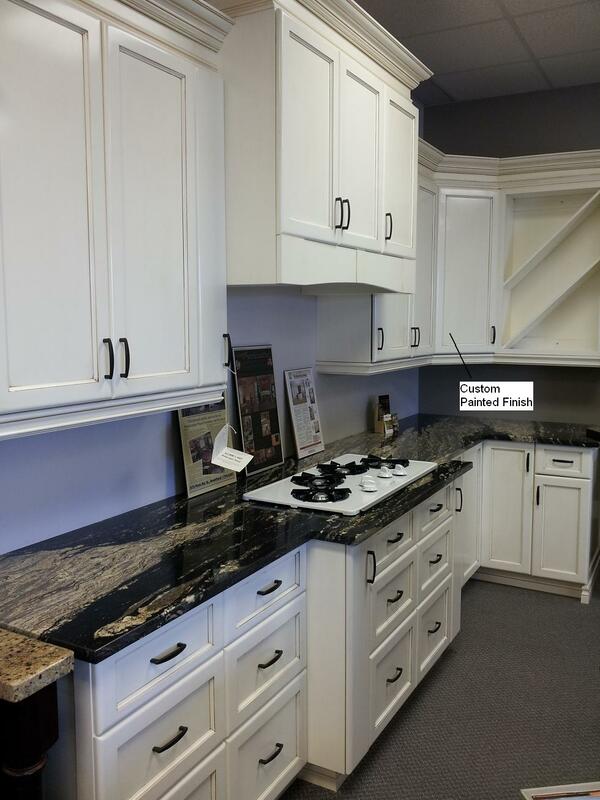 Make sure your cabinet will fit a sink that you wish to have in your kitchen. Look for a sink before ordering a sink cabinet if you want a particular sink for sure in the kitchen. The section of the sink where water comes out (includes the taps). Faucets can often be purchased independent of the sink, just make sure that the sink can fit the faucet properly. This is a general encasement of all appliances that may be found in the kitchen. The large ones to consider are Refrigerator, Oven, Microwave, and Dishwasher. These backsplashes are small (usually 3″ high) sections of the countertop that are raised against the back, where the countertop meets the wall. These are used to prevent damage to the wall, and the height of them is often adjustable. A wall backsplash is stone, tile, glass, or other material installed in the kitchen in the section on the wall between the upper and lower cabinets. A backsplash can add a different look and feel to the kitchen, as they come in a wide variety of colours and materials. These pieces are one section of material, finished in a solid colour. Generally these units are put behind the oven, on the space between the wall above the stove and the range hood. Easy to clean, and the ability to match or contrast colours make these pieces a great modern choice.